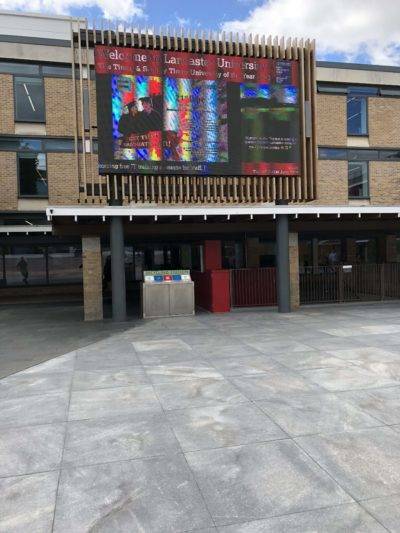 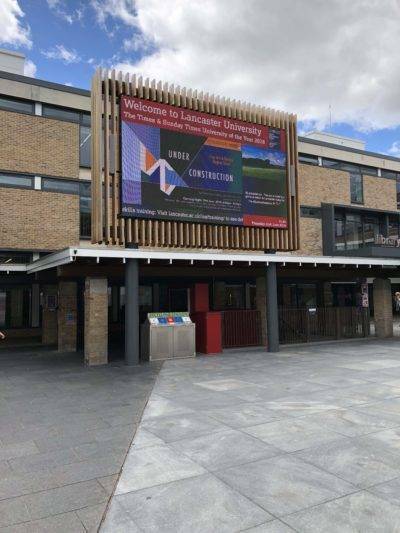 Parkinson Builders have just installed a brand new TV Screen Wall in Alexander Square, measuring 5 x 3.5 meters and 4 meters above the ground. 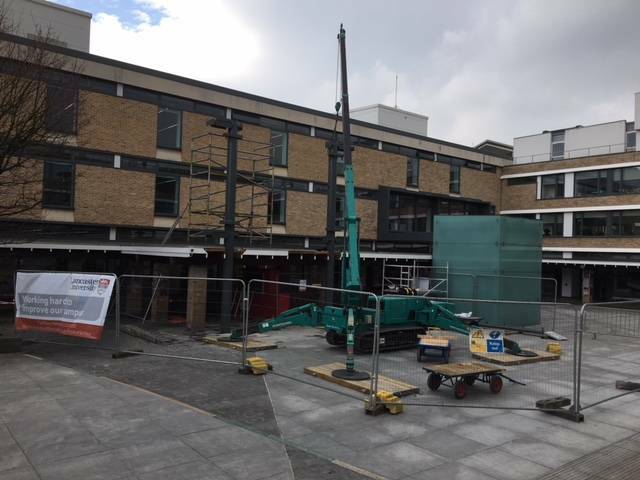 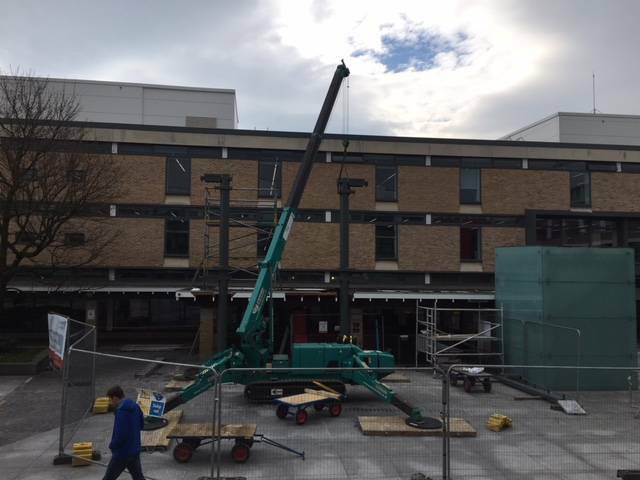 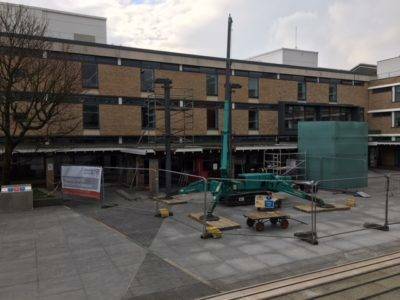 Due to Alexander Square being directly above the University underpass this project required steel beams to be inserted into the underpass ceiling to carry the weight of the TV screen & its supporting steel work. 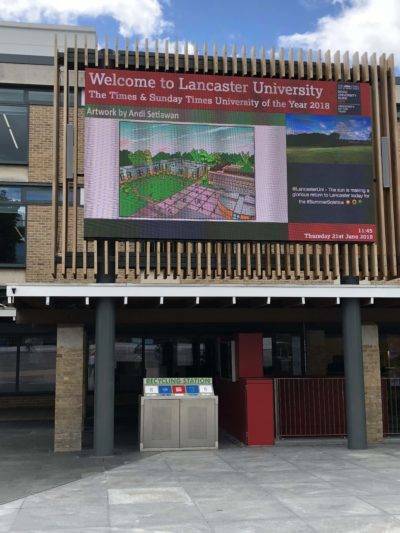 Students will be able to follow the latest University & world news and enjoy watching live sporting events such as the Football World Cup & Wimbledon.